Marissa Mayer's Newest Management Invention: "Layoff Wednesdays"
Nothing pumps up morale like a little midweek career Russian roulette. The woman who brought us fresh management techniques like accidental firings, tortuous salvation planning, reading children&apos;s books to terrified employees, demanding notarized blood oaths from senior staffers and literally dressing up like Marie Antoinette during a crisis is at it again! 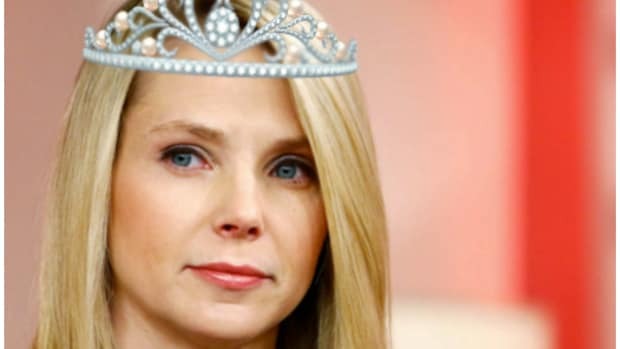 Get psyched Yahoo employees, cuz Marissa Mayer is ready to unveil her newest creation: "Layoff Wednesdays!" According to sources close to the situation, Yahoo CEO Marissa Mayer has designated Wednesday as the day of the week to make massive cuts in staff that the company announced at its earnings call weeks ago. But, instead of just felling the ax at once, she has dragged the pain out in several weekly layoffs. So, if you&apos;re at Yahoo right now and planning to make a "Humpday" joke to Brenda over in Media, you might want to reconsider because it&apos;s more than likely that Brenda just got sh!tcanned. Double M is basically the Rasputin of Tech at this point. She's making a list and checking it twi...Most of you are fired. We've reached a point at Yahoo where this actually makes sense. Evita Mayer has not yet begun to fight! Morales is not awesome at Yahoo right now, says math. How much do you want to fire a problem like Marissa? Who DOESN'T want to buy Yahoo for whatever it might - or might not be - worth? Marissa has reached the "Let them eat cake" stage of her fall from power.